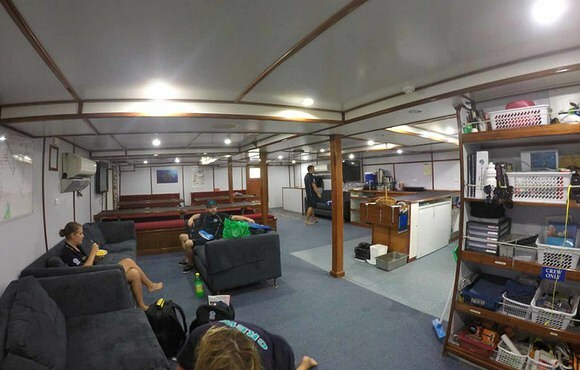 We will begin our expedition with a westward cruise out of Honiara. 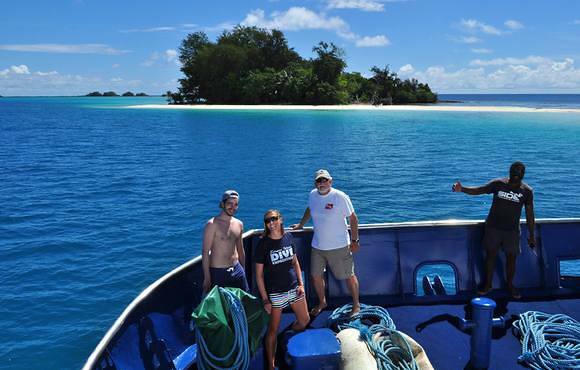 One of our first stops in the Russell Islands will be the world famous Leru Cut. This canyon juts into the landmass and offers spectacular photography. Outside of the cut is a fabulous wall teeming with fish life. 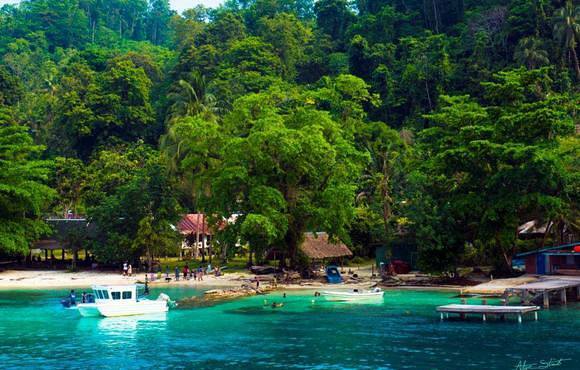 We will spend several days in this island group exploring the myriad of dive sites. From the Russell Islands, we continue on to Mary Island, properly known as Mborokua. Mary Island is notable for an underwater point that commonly hosts massive schools of barracuda and jacks. 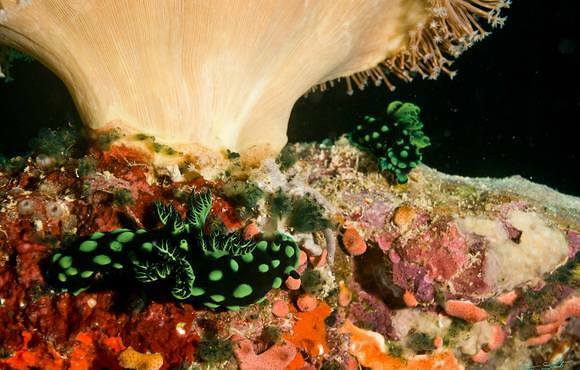 Just below the boat, dive in to explore the coral garden where ghost pipefish, leaffish and shrimp gobies rule. Note: Mary Island can be exposed to the elements and is weather dependent. We cannot guarantee this destination on all trips. The currents here mean manta ray sightings are possible along with schools of pelagics along the walls. 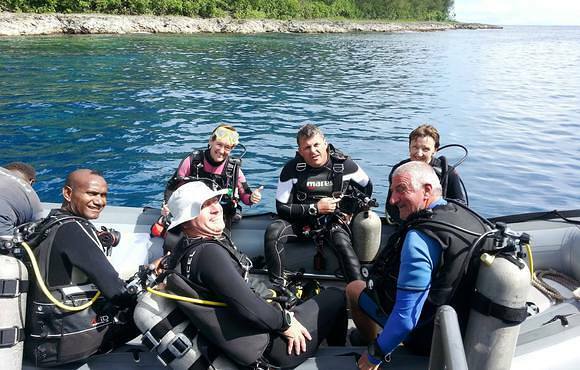 Combine this with some amazing WWII history dives and you have an exciting adventure! 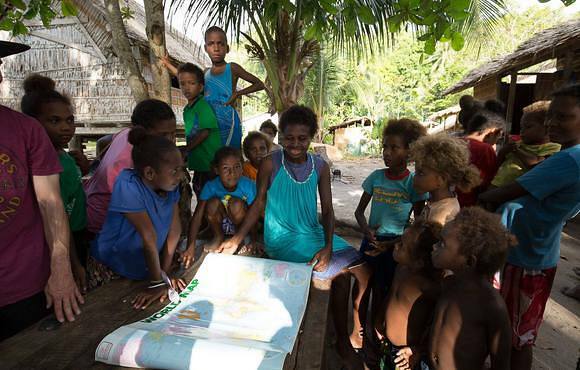 Along the way, we stop at some of the smaller islands and visit remote local villages. Come shop for produce for our meals or check out the local carvings. You might even be able to catch a game of football with the local village children! Weights and belt, standard tanks and air fills. 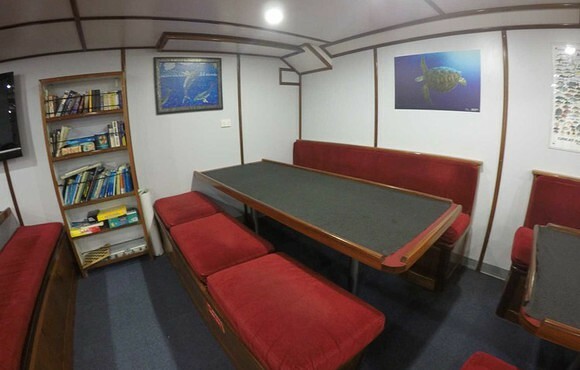 Built in 2004 and custom designed for diving, the vessel offers the best liveaboard accommodation in Solomon Islands. 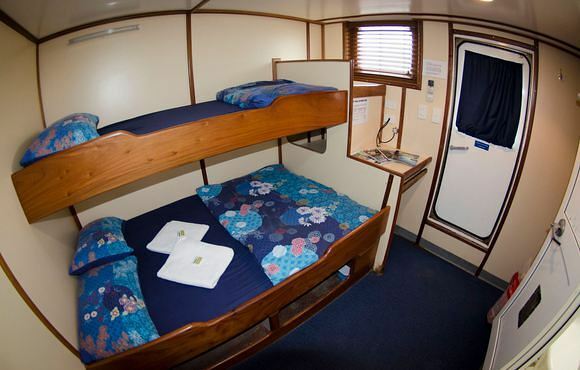 She is spacious inside and out and in addition to generously sized cabins, we have lots of shared space both inside and out for lounging and mingling. 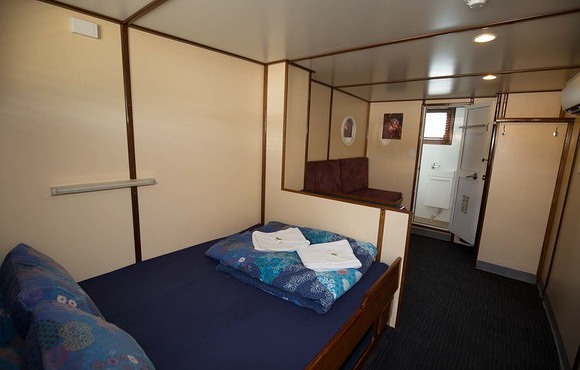 All upper deck cabins have en-suite toilets and showers. All rooms are also fully air-conditioned. 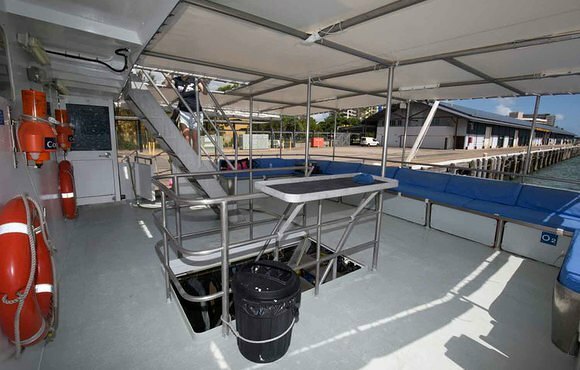 Our large and open dive deck offers excellent storage capacity for all of your dive gear. We have specifically designed camera facilities to ensure your delicate equipment is treated gently. 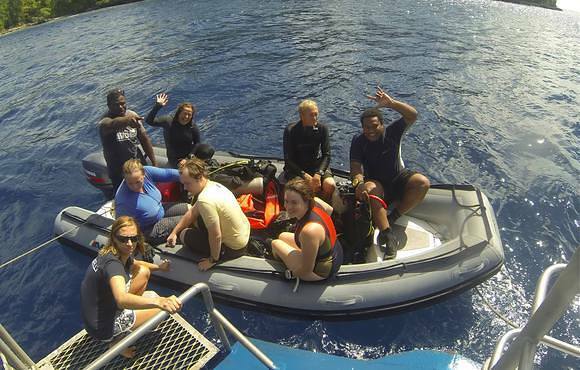 The majority of our dives are done directly off the deck rather than off skiffs meaning we can offer more dives and longer dives than any other operator. Our chef has designed a menu that showcases the local cuisines while featuring recipes from our international menu. Local, fresh and abundant are the key themes in our galley. 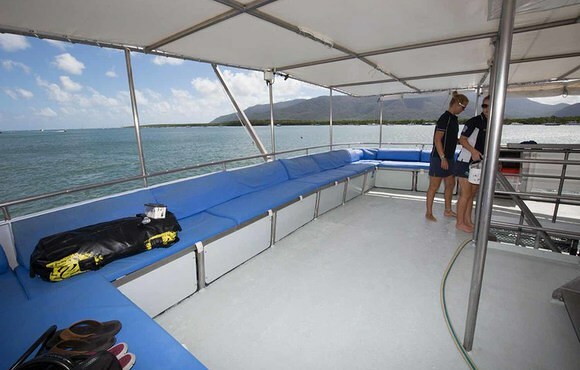 Custom designed to provide superb dive and guest facilities. Excellent comfort and privacy with spacious relaxation areas. 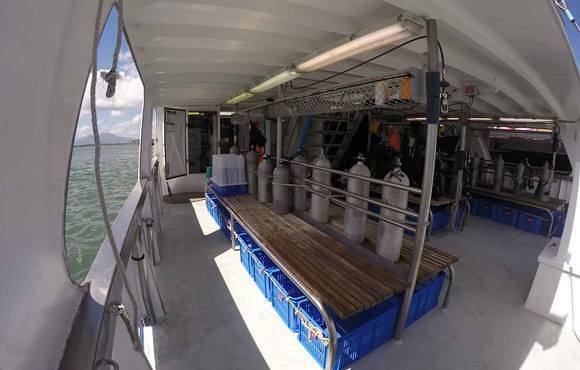 Open dive deck, with the majority of dives done off the back of the boat. Two large skiffs for pick ups and tours. Heavy steel, mono hull design maximizes stability and comfort. Long range capabilities allow for 7 days of continuous steaming. 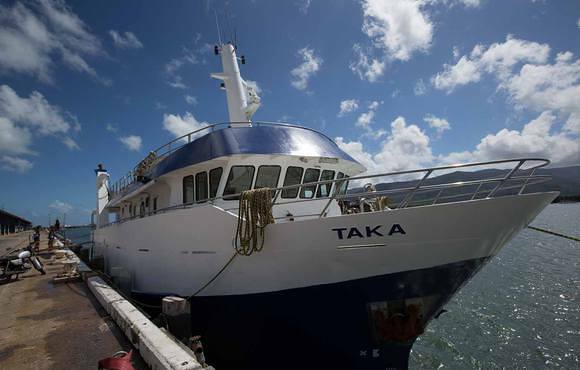 Equipped with 2 desalination units for unlimited water production. 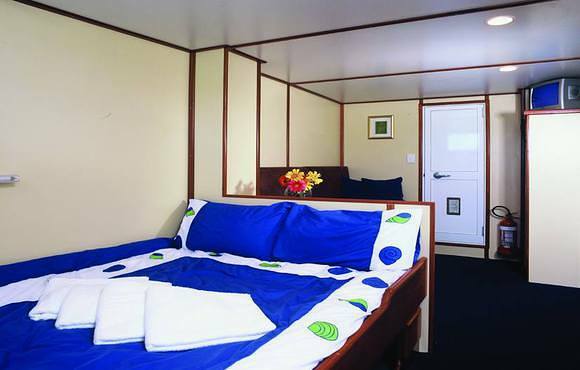 Comfortable cabins, all upper deck cabins have private en-suites. Large sundeck with optional shade cover. Hot water showers on the back deck. 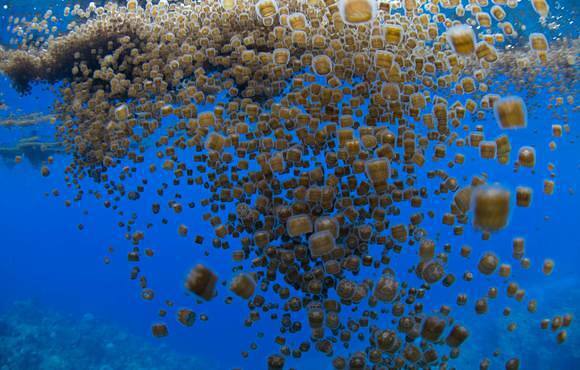 Solomon Islands has some of the most pristine dive sites in the world. 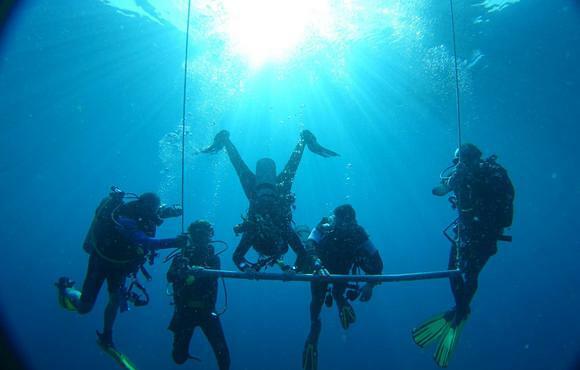 Unspoiled and undiscovered, our remote location means there are not many divers to put pressure on the reef and fish.